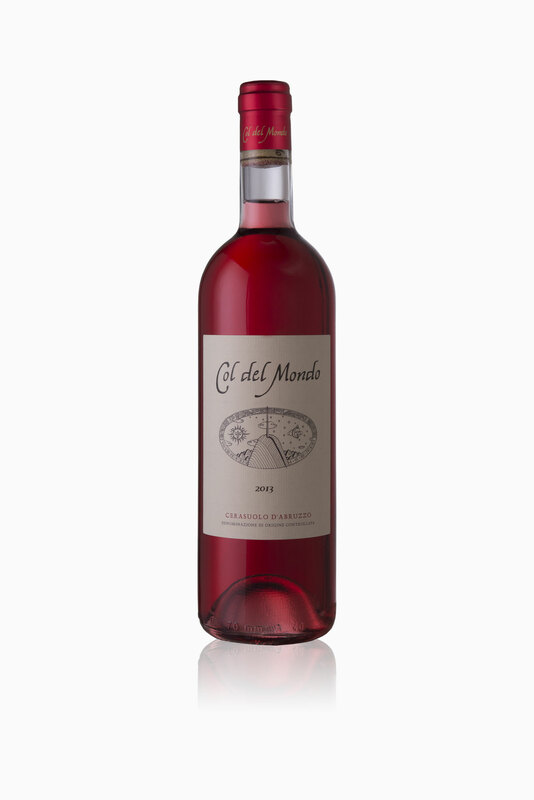 This is a rosè wine obtained entirely from Montepulciano grapes vinified white. The color varies each year from a pale pink to a strong scarlet according to the seasonal trend that gives a different degree of coloration of the skins. A nice fresh taste and a great elegance in perfumes, accompany the typical structure of the Montepulciano grape. It goes well with light dishes of spring and summer, but also with pasta dishes or white meats. The grapes come from a young Guyot-trained vineyard with low yields, the harvest is anticipated at the end of September and carried out by hand. The bunches are destemmed and grapes undergoes a maceration of only 6 – 12 hours to prevent a too intense staining of the must and finally, a soft pressing. A second cold decantation for 18 hours, then start the fermentation at low temperature, about 18°C. The wine rests in a tank on its lees until early February. Wine Appellation: Cerasuolo d'Abruzzo D.O.C. Bottling period: in February of the year following the grape harvest.